Update (April 5): Google has officially announced the availability of YouTube Go’s beta app in India (even though it’s been open to users on Google Play since February). 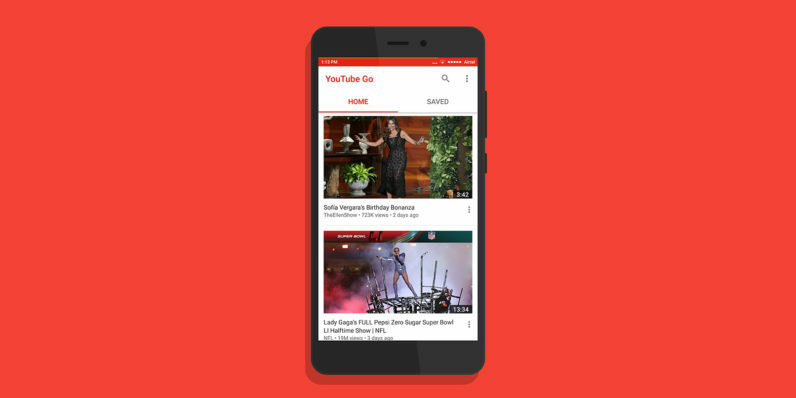 Last September, Google announced it was launching YouTube Go, an Android app designed to help users save data while watching and sharing videos. It’s now available for you to try out. The app lets you choose whether you’d like to stream your selected videos immediately or download them for offline viewing in standard and low quality modes. You can also send videos to other YouTube Go users near you over a local ad-hoc Wi-Fi hotspot that won’t use up either person’s data. YouTube Go works well enough on those fronts, but if you’re on Wi-Fi most of the time or have an unlimited mobile data plan, you probably don’t need it. Its home screen currently displays a curated feed of downloadable videos that may not appeal to you as much as the recommended videos on the standard YouTube app. Plus, you can’t choose 720p or higher quality streams. Still, it might come in handy for users who want to avoid using up their data at any cost. The offline video sharing feature is pretty cool, and it’ll be interesting to see if Google chooses to preload this app on budget phones from manufacturers it partners with in developing countries. The app is officially only available to test in India on Google Play from this page; if that doesn’t work for you, grab the installer from APK Mirror to try it out.